Update December 29, 2016: It’s episode 2 of our Football Manager 2017 Let’s Play and things aren’t going well for Joel and his team, Sporting Toupee, who have lost three of four games, tied one and won none. It’s the halfway point in the season and Joel is switching up his tactics, hoping to bring it back around. Got some thoughts of your own of Football Manager 2017? Why not help us review it? Meanwhile, Phil andA.C. PCGNissimo are currently third in the league and he’s hoping to keep up this momentum into the second half. Have a watch of the video embedded above to see if their hopes are met. If you missed episode one, you can watch that below. Original Story December 17, 2016: Meet two football teams that definitely don’t exist: A.C. PCGNissimo and Sporting Toupee. You might have guessed that from the name come to think of it. Managing Sporting Toupee is the revered – and sometimes feared – Joel Gregory, while pacing the touchline for the exceedingly Italian A.C. PCGNissimo is Phil Iwaniuk. 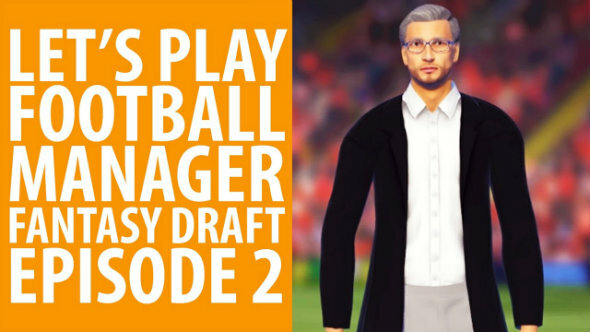 They’re vying to take home the PCGN football cup in episode one of Football Manager 2017 Fantasy Draft mode Let’s Play, which condenses far too many hours of questionable team selection, pointless morale boosts and Phil screaming ‘GOOOAAAAAAALLLISSSIMMMOOO!’ into something you don’t have to book time off work to watch. In this episode we meet the managers, examine exactly why Phil is so drawn to Italian players, and watch Joel fall face-first out of the starting gate with three defeats on the trot. If you enjoy the video and want to see more like it, be sure to subscribe to PCGamesN on YouTube – a thumbs up wouldn’t go amiss either.